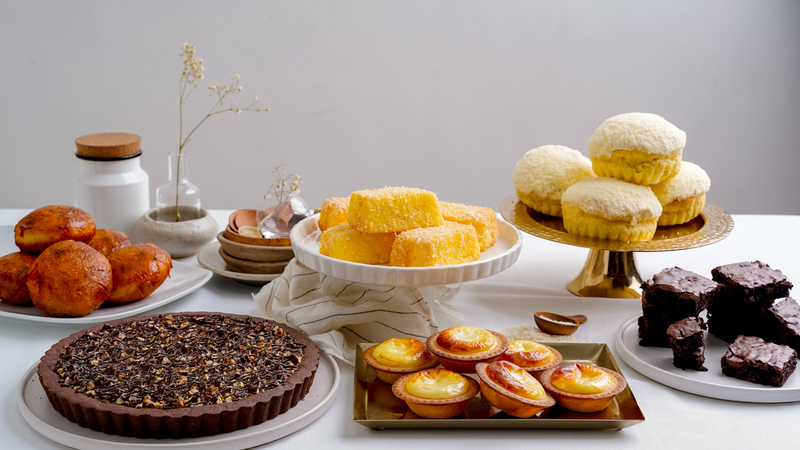 Get ready to fall in love with these sweet treats which deserve a spot on your table. 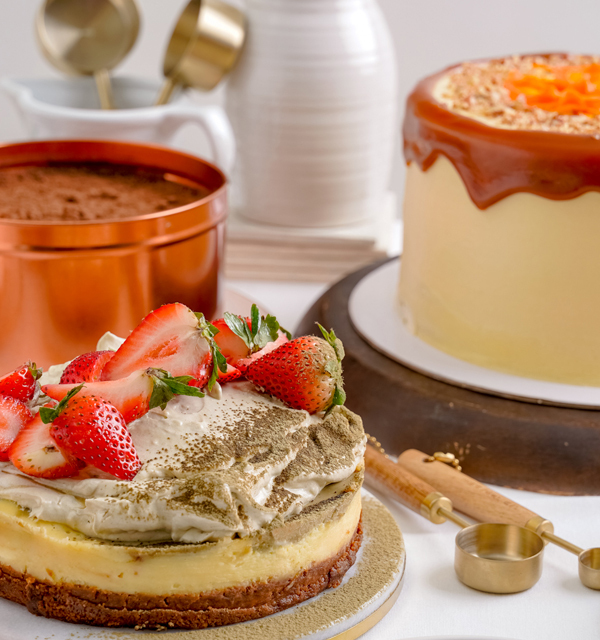 Earthy green tea flavors are the perfect foil to the creamy and indulgent cheesecake base. Did we mention we love the contrasting flavors of the silky cream and sweet strawberries, too? This moist ube sponge cake is generously layered and sealed with quality ube halaya. By quality, we mean the best! The cake is covered in Baguio’s popular Good Shepherd Ube. It’s the most authentic and decadent ube cake you can have. Have you ever eaten chocolate cake and thought to yourself: there just isn’t enough icing! Ever felt guilt about stealing icing from the rest of the cake? Well, you’re not alone. This is one indulgent cake you'll want to keep to yourself. 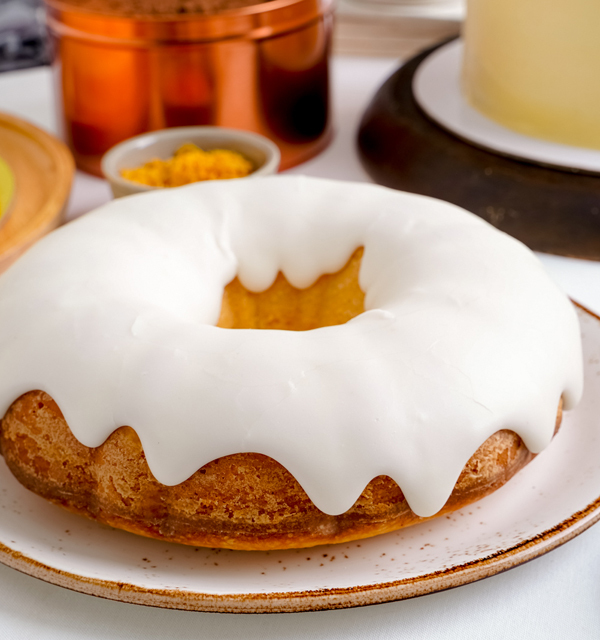 Trust us, a slice of this moist bundt cake will bring on a smile. 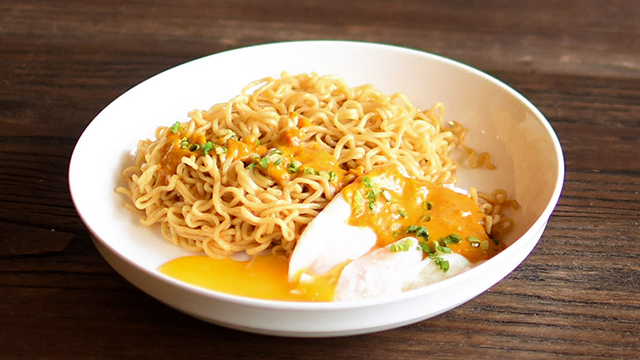 It's tangy and sweet in all the right ways. You can get in on the tin can craze without cheating on your diet! This low-carb treat ticks all the boxes for tastes and textures, too. Dig into the the four layers: moist chocolate cake, chocolate ganache, rich chocolate cream and Malagos unsweetened chocolate. This will bring you back to your childhood: of spooning cereal swimming in sweet milk. 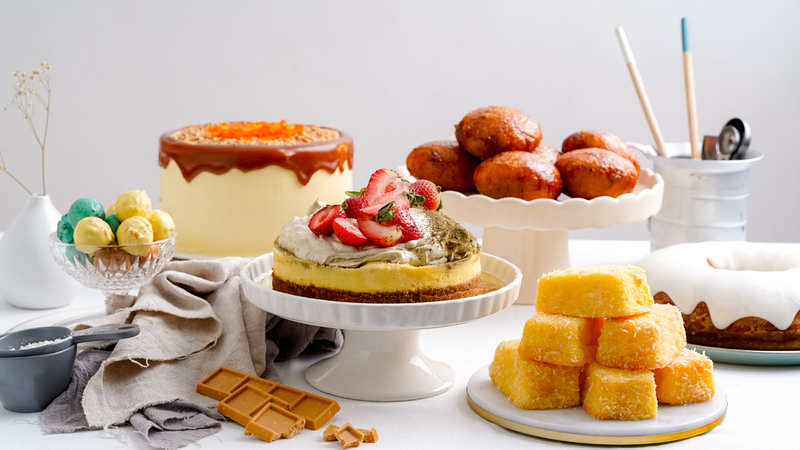 The moist chiffon cake layers allow you to enjoy one of the best flavors ever: cereal milk in cake form! We're pretty sure you'll want a second slice. 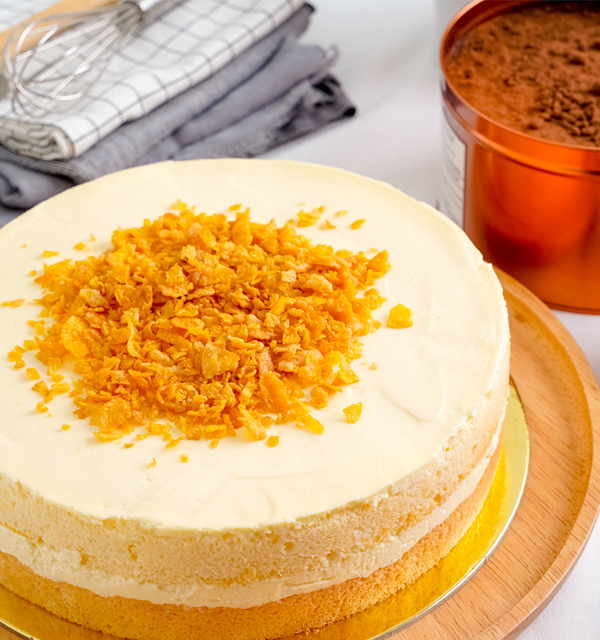 The dense, the nutty and spicy moist cake is layered and covered with a contrasting light vanilla cream cheese icing. 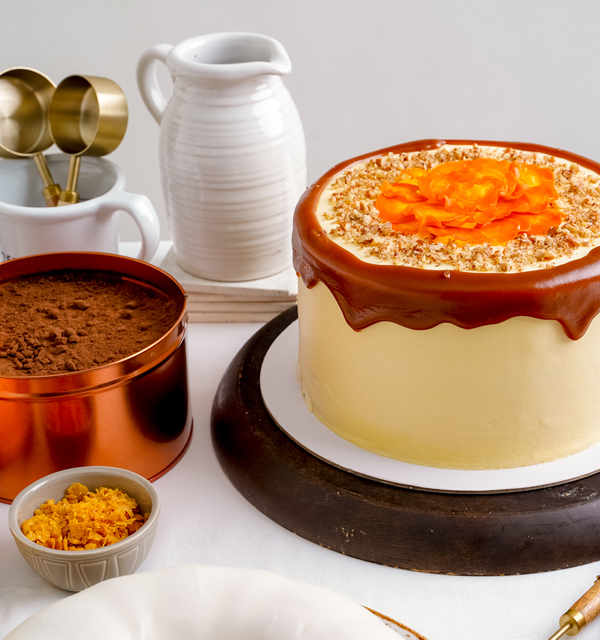 It's also topped with earthy crushed pecans, thin sweet petal-shaped candied carrots, and a delicious dark caramel drip that altogether sings a scrumptious harmony of textures and flavors. Served in an unassuming tin container, this cake doesn’t need frills to be good. 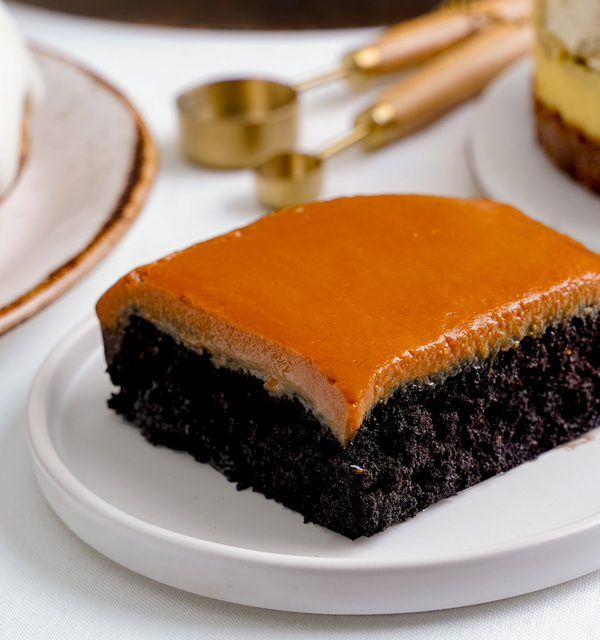 The moist chocolate cake is topped with a caramel sauce that tastes just like your favorite Leche flan caramel! These incredibly soft, fudgy brownies will make you a certified chocoholic (if you aren’t already one.) 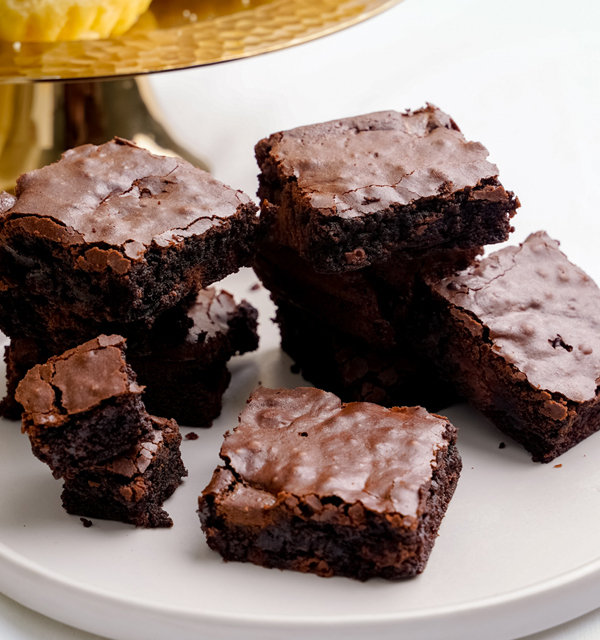 It’s a plain brownie, but done flawlessly so that it’s star really shines: delicious, dark Malagos chocolate. 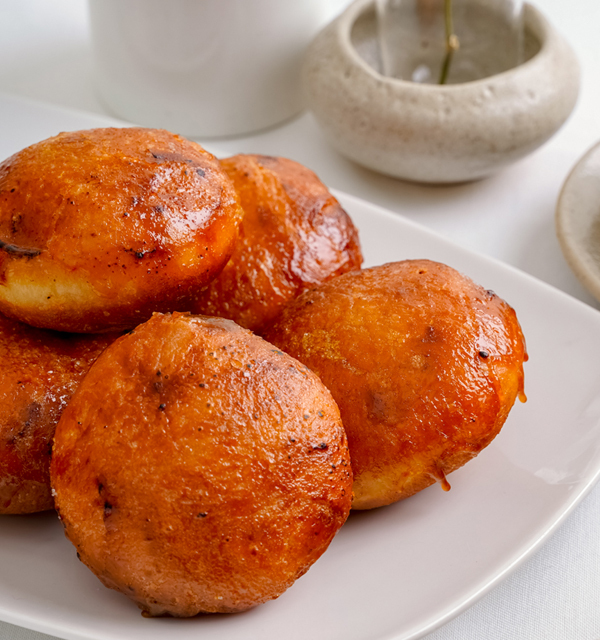 We can't decide which part we love best: the burnt brown sugar which coats this dense, cakey doughnut made of sourdough-brioche dough, the rich sugar custard inside, or the fact that it goes perfectly with our cup of coffee. Little else comes close to that perfect chocolate-and-peanut butter bite. 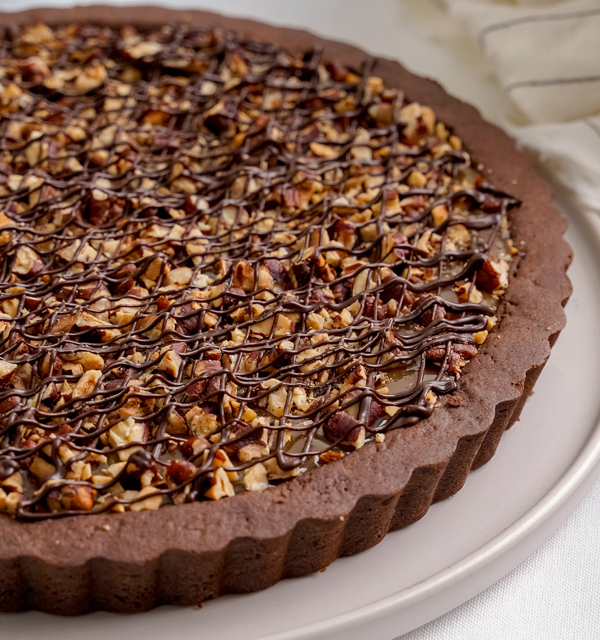 Every slice is a delicious, heady mix of textures and milk chocolate flavors—an easy crowd-pleaser, if you ask us. A tart with gooey, luscious, and velvety creamy filling—BAKE cheese tarts are great eaten chilled, frozen, or straight out of the oven. This perfectly soft, perfectly baked ensaymada is a perfect balance of sweet and creamy buttercream with salty, umami-rich Parmesan. 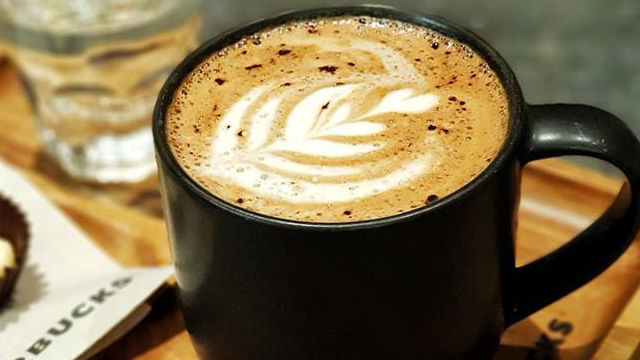 You’ll absolutely love it with a cup of hot coffee! 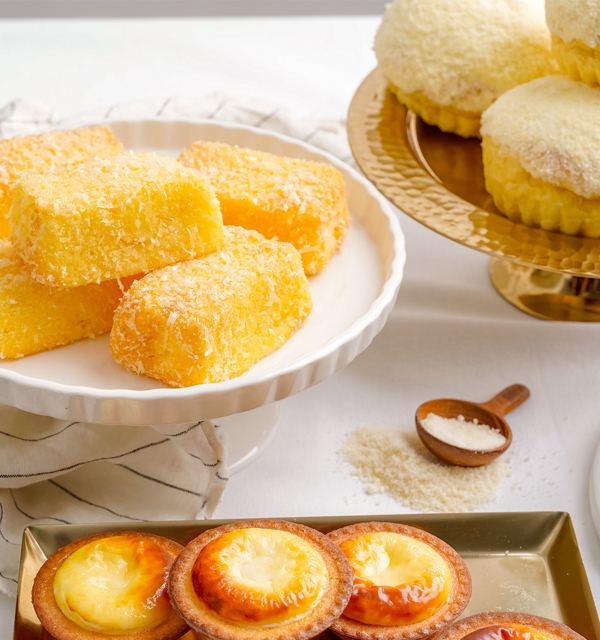 Sinking your teeth into these cloud-soft little moist sponge cakes will send you to cloud nine. Sprinkled with white sugar on top for a little crunch and the perfect amount of salty Queso de bola to play with your palate—it’s hard to stop at one piece! There’s nothing like a classic chocolate chip cookie done excellently. 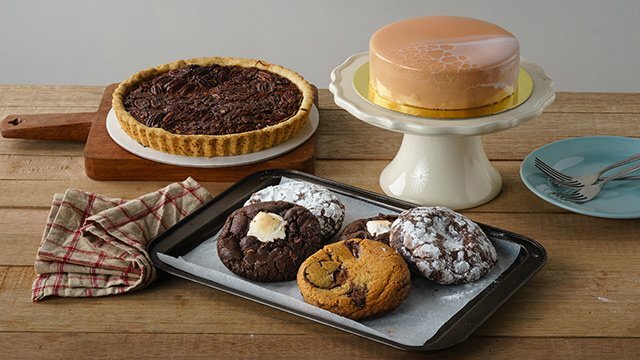 Every bite is guaranteed to be ooey gooey with chocolate! These sinfully delicious cookies have two things that lure you in: a unique, umami punch that balances the sweetness and a tender, no-other-like-it tender crumb. 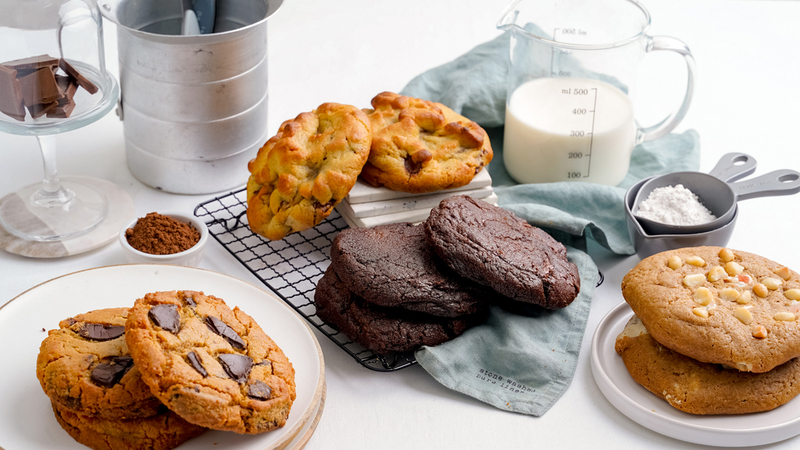 These guys really know how to bake a cookie: it has an incredible chewy texture you love with just the right amount of sweet flavors and chocolate chunks to make you fall in love with chocolate all over again. Imagine nutty flavors, slightly sweet white chocolate, and a cookie base reminiscent of toffee notes all in one huge treat. 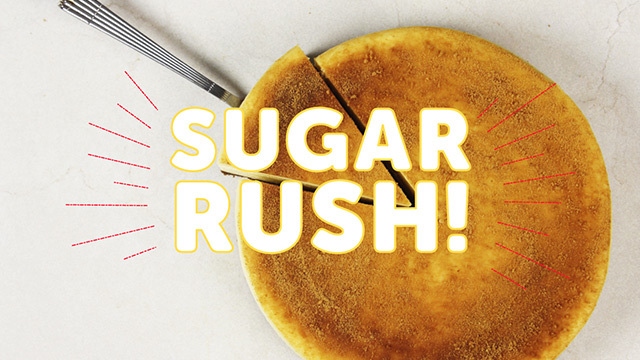 You'll want more than one big cookie, for sure. the Earl grey flavor lets you enjoy bold tea flavors you love. 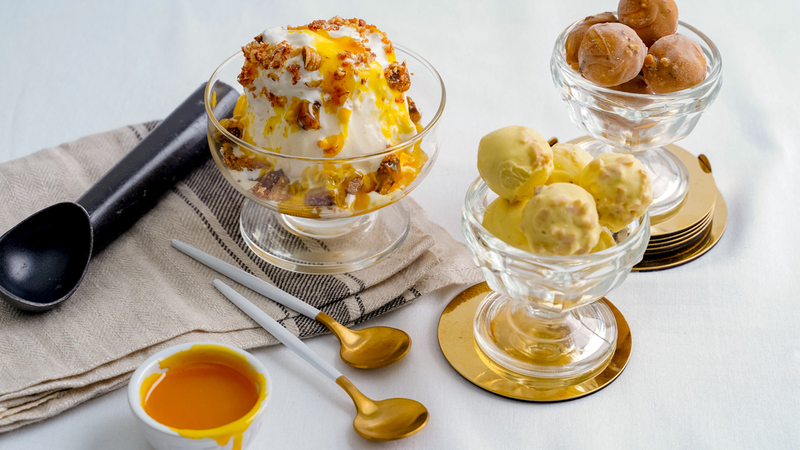 This non-dairy gelato is a winner in every sense: you get all the familiar biko flavors, the gelato base is made with suman, and it is mixed with latik and a coconut sugar crumble. Yum! This ice cream sundae is both for the adventurous and those on the lookout for more refined flavors. 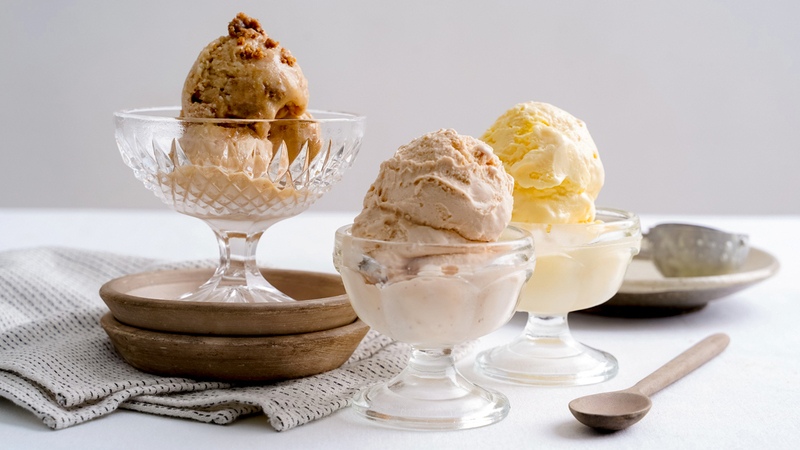 Imagine cheese ice cream, candied almonds, and figs in one dessert that has all the sweet, salty, and zesty flavors you love. Definitely Tita (and tita-at-heart)-approved! bite-sized ice cream nuggets are encased in a chocolate shell and you get crunch and sweet flavors before they burst inside your mouth. Our fave flavors: passionfruit, Oreo mint, and banana chip. Creamy, indulgent, and just the right size—these chocolate truffles are made for people who enjoy the little things in life like the perfect chocolatey bite. 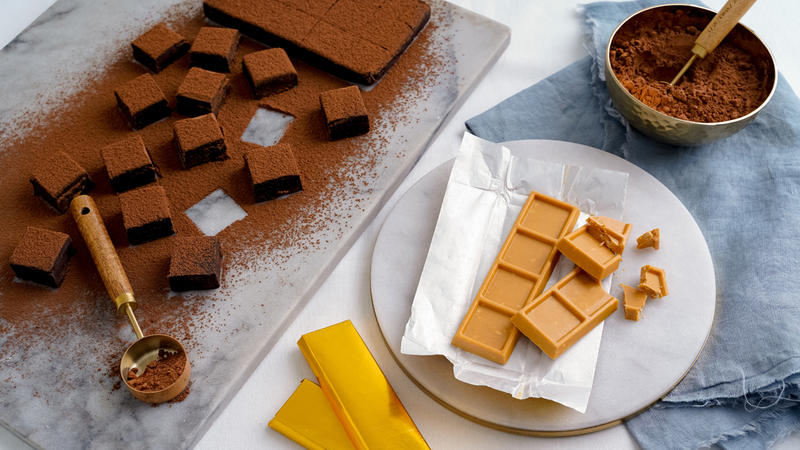 If you're not a big fan of white chocolate, this bar will change your mind. Creamy, lightly sweet, and nutty, we're certain you won't want to share. 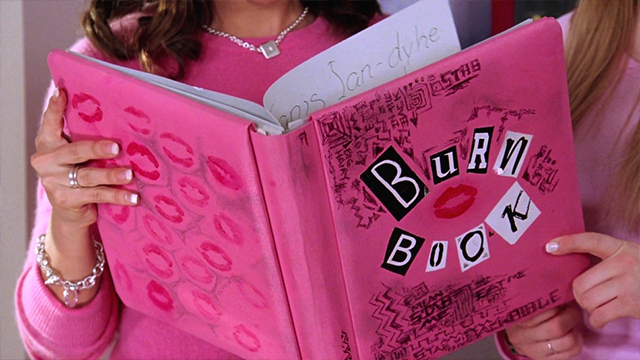 Mean Girls Fans, Are You Ready For This Cookbook?